You probably already know that Instagram, the world’s most popular photo-sharing application, is a great way to stay connected with friends and family. But did you know that the app also doubles as a phenomenal lens into the art world? According to Olivier Laurent of the British Journal of Photography, the original goal of Instagram “was to make mobile phone photography fast, simple and beautiful.” The application has definitely been instrumental in helping organizations and brands broaden their networks, and has not only acted as a modern tool for photojournalists, but also as a gateway into galleries and museums worldwide. 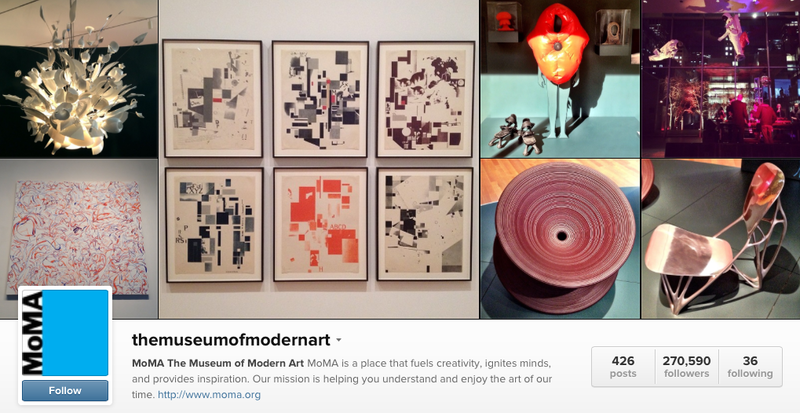 Keep up with all the happenings and upcoming events by following MoMA’s Instagram account. The museum updates it regularly, making it easy to stay up to date. The Brooklyn Museum always presents innovative, awesome art exhibitions and events, and chronicles almost of all of them on its Instagram account. 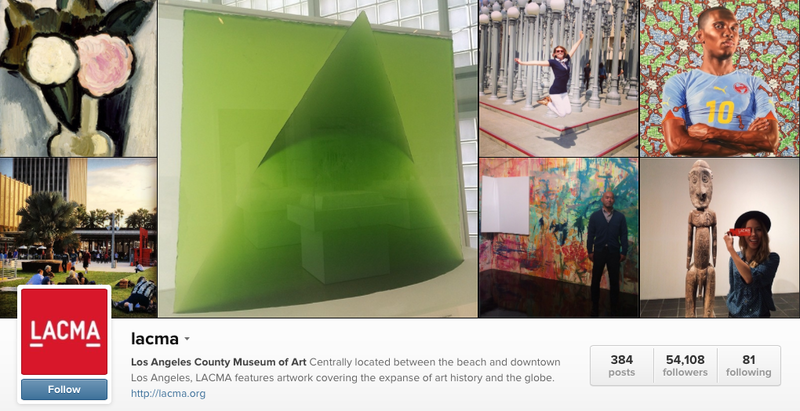 LACMA is really diligent about posting photos from arts events both at the museum and all around the globe. Since visiting the Musée du Louvre, home of the Mona Lisa, tends to be considered a once-in-a-lifetime kind of experience, following the famous museum on Instagram might be the closest you can get for a while if you don’t live in Europe. San Francisco’s Museum of Modern Art is one of the most exciting accounts to follow. The museum is currently closed for expansion, so following its Instagram account will provide you with your art fix in the meantime. Other prominent museums and arts organizations on Instagram include BAM Brooklyn, NYC’s New Museum, MOCA, the Tate Gallery, and MCA Chicago. What museums are you following right now?